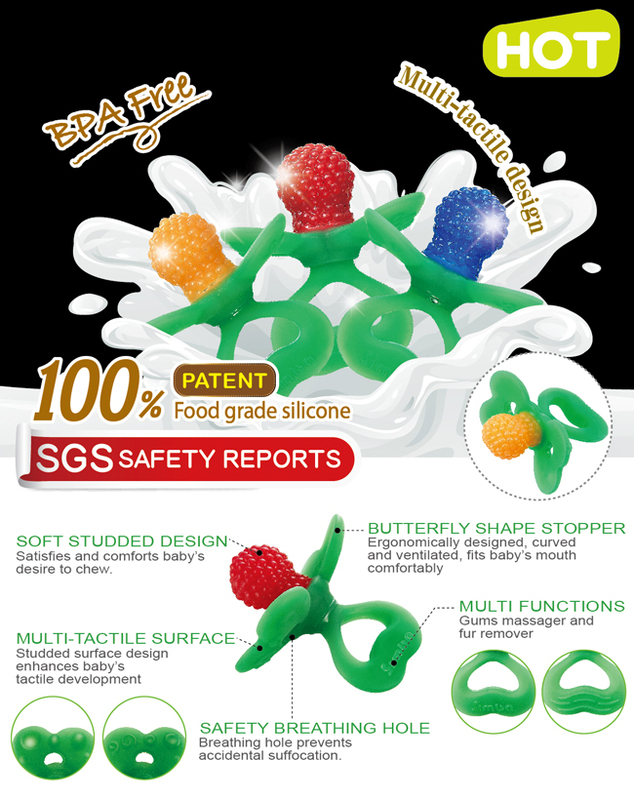 1.Selected food grade silicone, BPA free. 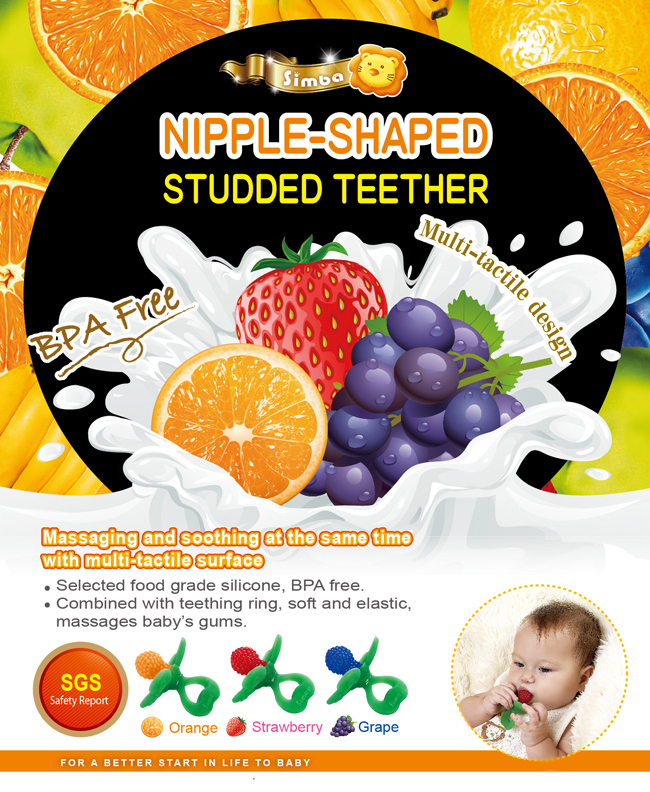 2.Combined with teething ring, soft and elastic, massages baby's gums. 3.Satisfies baby's desire to chew when teething. 4.Stimulates baby's tactile development with studded massager. 5.Designed with fruit theme, colorful and fun. 6.SGS proofed 100% nontoxic food grade pigments used.